People on the Prairies have experience adapting to changes in the weather. As for change in climate, we have the potential to take advantage of higher temperatures and minimize the adverse impacts of climate change. This advantage is because of our relative abundance of financial, social and natural capital. In other words, we have a high level of adaptive capacity – the ability of our social, economic, political, and institutional systems to adjust to change, moderate potential damage, take advantage of opportunities, and cope with the consequences (1). There are some regions and sectors in Manitoba that need enhancement of their adaptive capacity. By improving health systems, protecting ecosystems, enhancing support institutions, and providing economic opportunities for the underprivileged we can increase resilience and help to buffer systems from extremes regardless of how climate change manifests itself (2). 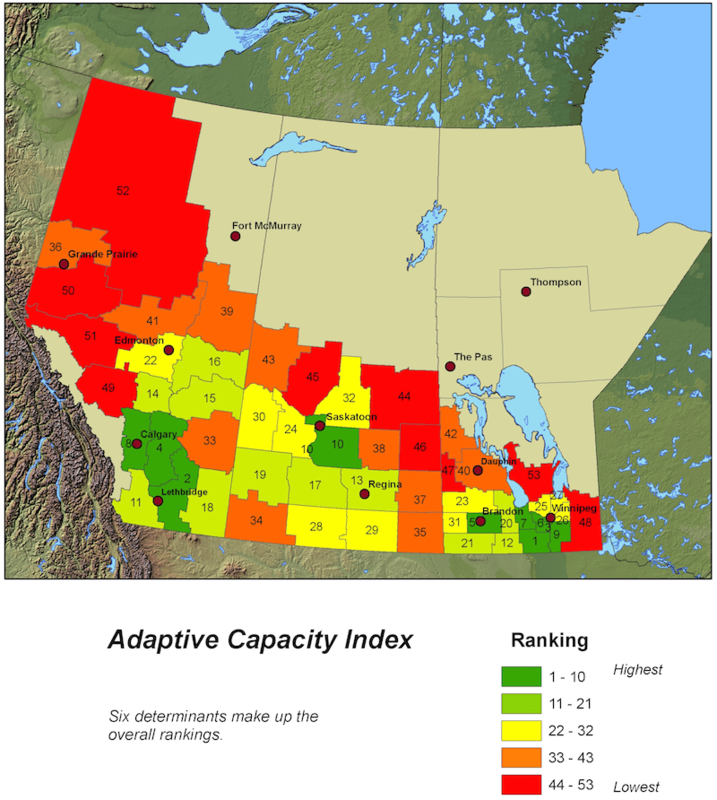 Figure 1 is a map of the adaptive capacity of the Prairie Provinces based on an analysis of Statistics Canada’s Census of Agriculture (3). The map was developed to help select regions to study further for a better understanding of resilience to climate change.